R... Rajkumar had a decent weekend of around 27.50 crore nett on the strength of business of single screens. 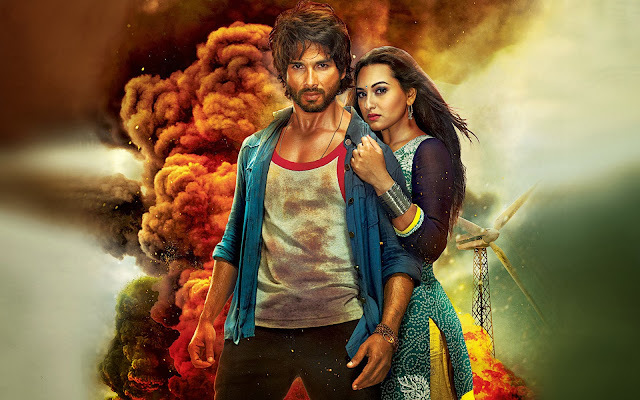 It emerged as Shahid Kapoor's biggest opener ever. It had the tenth highest weekend of the year and it is interesting that it is the only film of the South style action genre to feature in top ten despite featuring a star who prior to R.. Rajkumar was mainly an urban star. The business at multiplexes was average to dull depending on the area but single screens ranged from excellent to good. The film put up very good weekend numbers in CP Berar, CI, Rajasthan, Bihar, Nizam and Maharashtra. The film is likely to do well in the circuits where it has very good weekend collections but a steady run at multiplexes till the release of Dhoom 3 will really help its cause.